....."attached is a photo of my father, Cyril Massie Shepherd (Ed. see image 1356). He lived on the Massie farm (Millbank) with his sister stella and his grandparents.....(this is) a photo of what we believe to be Millbank farm? We never visited Alford when my father was alive, which is a shame, but seeing all the images on the site is fantastic. " 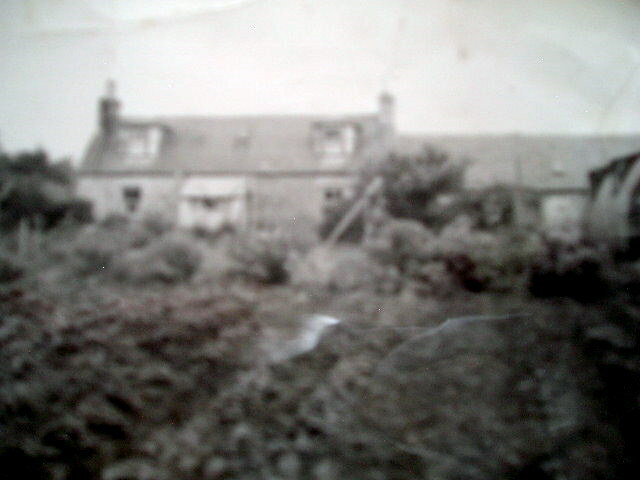 I can confirm the above picture is of Millbank Croft and photograph has been taken sometime after my my parents purchased the property May 1953. The Nissen hut (on the right side)was erected by my father and was an ex- MOD bunkhouse with some fantastic drawings on the walls. We removed the hut and most of the buildings when we built three new bungalows on the site 1978. I belive my mother may have spent some time at this Farm in the 1950's. Her name was Betty Robb. Any information please to the email address shown below. Thanks for your input Bill it is good to know that it is actually Millbank Croft as things are still very sketchy with my family's past in Alford. I am Susan Shepherd, (now Dowswell). My father was William Shepherd, son of Robert? Shepherd and Martha Gilbert. If you have any more information, I would be delighted. I was a war vacuee who lived in the village till 1954. I remember Cyril Shepherd visiting the village from Aberdeen where he lived in the Spital and was very taken with him! Susan, we have a william shepherd who was 1 of 12 children to peter shepherd and barbara still, but no trace of Robert shepherd and Martha Gilbert, sorry. Bob,we have a robert shepherd born about 1887 in old machar Aberdeenshire. There is no mention of him marrying or even a date when he died.